The Twins. 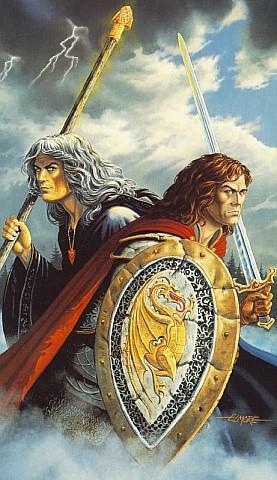 Raistlin & Caramon Majere. Wallpaper and background images in the Dungeons & ドラゴン club tagged: raistlin caramon majere twins dragonlance novels books image d&d fantasy. This Dungeons & ドラゴン photo might contain シールド, バックラー, and 防犯.